How happy would you be if you had all the money in the world? We spend endless hours obsessing over our budgets and investments, trying to figure out ways to stretch every dollar. We try to follow the advice of money gurus and financial planners, then kick ourselves whenever we spend too much or save too little. For all of the stress and effort we put into every choice, why are most of us unhappy about our finances? According to Laura Vanderkam, the key is to change your perspective. Very good read & super educational! What did you like best about What the Most Successful People Do Before Breakfast? What did you like least? It was a quick listen. But it lacks any substantial new ideas. I didn't learn anything. 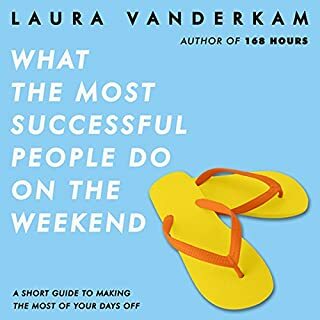 Has What the Most Successful People Do Before Breakfast turned you off from other books in this genre? Not at all. I've read quite a few of these books before and I find most of them to be very intriguing. This was not one of them. 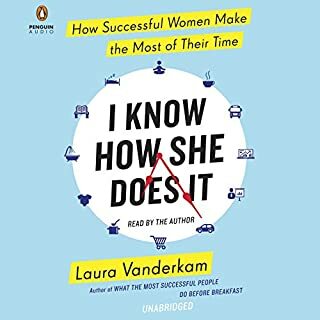 What aspect of Laura Vanderkam’s performance would you have changed? There was no entertainment value. Just reiterated facts. Almost all of which are not only covered in other books but by books by this same author. Who do you think would benefit most from listening to What the Most Successful People Do Before Breakfast? People who can't seem to find the time to do what's needed to make the changes in their lives they want to. Could have been summed up in a 2 page blog. But still a fan of the author. Get up ...... and start Living! Get up and use your unused time! It's been said before, but for under $3 it was well worth hearing again. The narration is a bit slow and lacking enthusiasm, but, the point comes across clear. There is not a whole lot of information, but some nice short stories about some very successful and high profile people. What they do in the mornings, why and how it has helped them become a success. The reader speaks slow enough that it is preferable to listen to the book at 2x speed. I bought it on a whim and realize now that I should have listened to the preview. It is nearly impossible to get to the meat of the story as the narration is so slow (and even at 2x speed, the pauses between sentences are excruciating). *Early to bed and early to rise makes a man healthy, wealthy and wise*...stretch that commonsensical proverb out for an hour and 4 minutes, add a little update regarding exercising and not wasting time on the internet and you've got the whole guide. 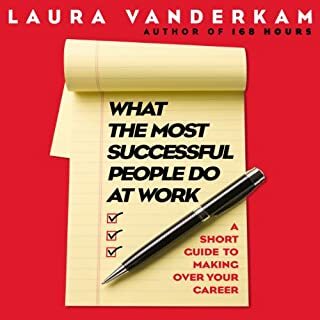 Vanderkam really doesn't have anything to add to what Aristotle was saying way back when, no clever updates, no creative time management secrets, nada. Perhaps for young people just starting a career or family (that have never read any self-improvement books) this could be considered an organized reminder that the early bird catches the worm. But also remember that *a fool and his money are soon parted*...maybe not a complete waste of money at $2.44, but definitely a huge waste of a full credit. Suggestion... on a post-it note write: *Get up early, Exercise, Prioritize* and bank the cost of a book credit. Would you listen to What the Most Successful People Do Before Breakfast again? Why? 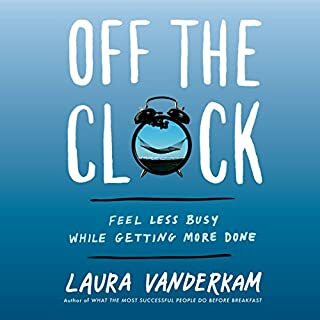 Although nothing new in time management, I liked Laura's take on it. I liked her delivery and her humor in it. It was well-written, short enough to not get boring but long enough to get in all the information. I took quite a few ideas from it. Definitely recommend it. Yes, I'm already recommending this audiobook to my friends. This book really added a new option to my life. I've discovered the joy of early morning! Too many times I've ended a day saying "what have I accomplished?" but the suggestions in this very succinct reading really have gotten me into better habits and I'm getting more done in every day. Rather dragging myself ourt of bed - I celebrate the "me" time allowed every day! 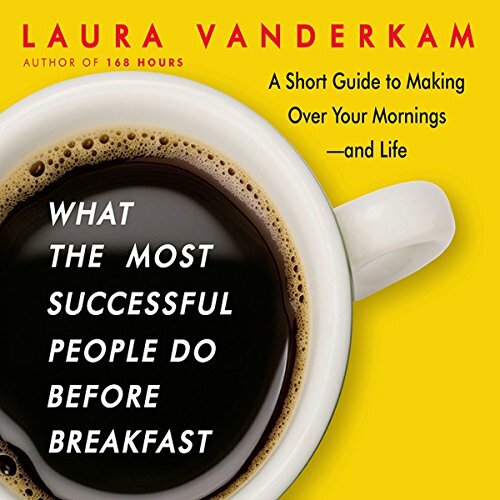 What other book might you compare What the Most Successful People Do Before Breakfast to and why? I'd compare this book to Stephen Covey's 7 Habits books, but with more emphasis on implementation, rather than the principals behind it. Which character – as performed by Laura Vanderkam – was your favorite? Doesn't apply as this shares some ways to improve your life. Go to bed earlier and get up earlier so you have those quiet hours to yourself! 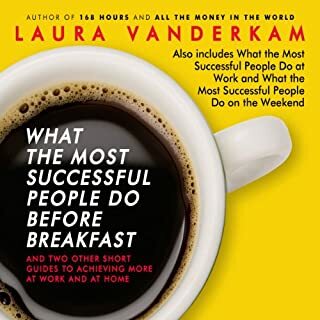 An excellent buy - reasonable price but something I've already listened to several times - from start to finish..
What made the experience of listening to What the Most Successful People Do Before Breakfast the most enjoyable? What the author said made sense and a lot of the book was common sense, but she provided practical tips to reach your goals. Examples of how her tips worked in the lives of very successful people were inspiring. 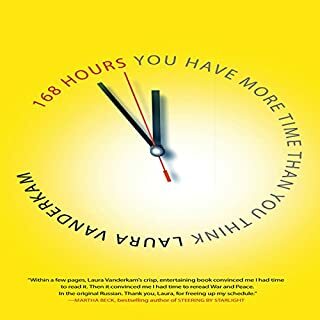 I am hoping her book, 168 Hours, You Have More Time Than You Think, will just as helpful. What three words best describe Laura Vanderkam’s voice? Soft, tentative, shy. It didn't match the subject. Her approach was almost too laid back. Yes, and it is only an hour so it is doable. This is not really a book, it's more like a 1-hr podcast. I bought it during a sale for only a couple dollars. I went into this knowing it was short, and cheap, and as such I thought it was very good. I think the author gave some compelling reasons to better organize my time to maximize the valuable morning hours. I was looking for a little motivation and this book provided it. This author reads her own book. I have heard worse, but it would have been much better if she had hired a professional reader.